Kathmandu Holdings is expected to continue performing strongly into the first half of FY19, with sales growth supported by the Oboz acquisition. Kathmandu Holdings ((KMD)) has improved its sales discipline, reducing clearance activity and resulting in a strong FY18 performance. Net profit beat broker forecasts as a result of lower finance costs and better margins. Sales growth was supported by the US$75m Oboz acquisition. Sales were up 11.7% to NZ$497.4m, or 6.1% excluding the acquisition. Online sales were up 36% and now comprise 9.6% of group sales. Underlying earnings in were in line with forecasts and well within guidance. Morgan Stanley observes some moderation in same-store sales growth and gross margin in the second half, while gross margin remains above the long-term target of 61-63%. A strong performance is expected in the first half of FY19 as the company cycles softer comparables and clearance activity, and the broker also envisages little risk to gross margins because of favourable hedging. No specific guidance was provided for the year ahead and management remains cautious because of the expected impact of higher input costs and FX pressures later in the year. The transformation of the domestic retail business is ongoing through product innovation and less reliance on promotions. However, as this business approaches maturity the drivers of growth will be online sales, Oboz, which grew 28%, and international sales. Credit Suisse believes the result reflects a combination of robust sales growth in Australia and better margins because of the reduced amount of discounting and a higher average selling price. The broker suggests the focus on inventory efficiency is an important element in lowering operating risk because of a reduced need for aggressive promotional activity to clear excess stock. Morgan Stanley is incrementally more positive and considers the current share price undemanding. Nevertheless, the apparel retailing environment can change quickly and the broker would be more comfortable with sustainable in-store gains and further progress along the international expansion path. The company has low levels of gearing and is likely to be net cash in 2020. The broker believes this will present opportunities to explore international expansion and other capital management options. Morgan Stanley prefers vertical integration and capital-light international expansion versus the previous retail roll-out strategy. The broker has a target of $3.00 and Equal-weight rating. The purchase of Oboz opens up international wholesale channels and Canaccord Genuity considers this a more meaningful opportunity versus the work the company did developing relationships with European retailers. This was the one negative in the results, the broker asserts, in that there were no new sales relationships with Europe confirmed and winter orders are currently underway. 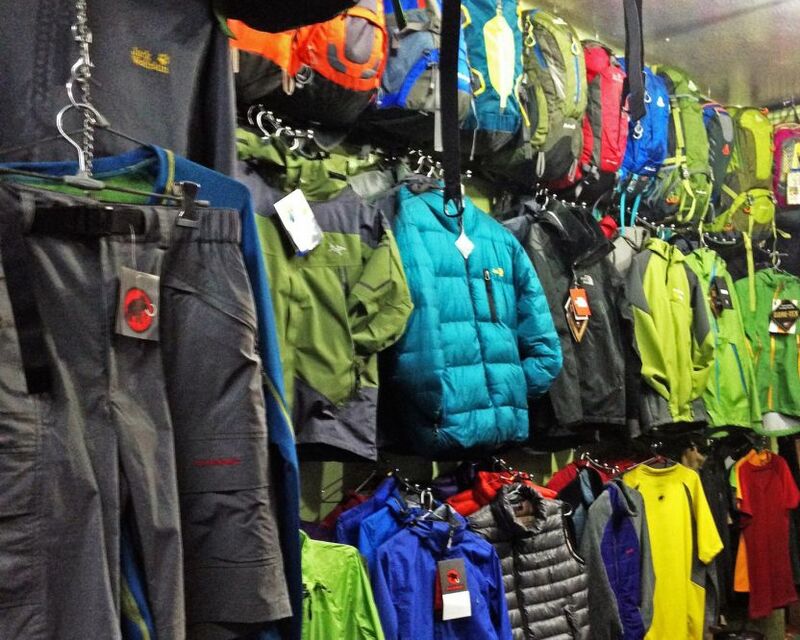 Kathmandu faces challenges in not only proving that Oboz can keep growing under its ownership but that it can leverage both brands when expanding internationally. A target of US$7.1m in operating earnings (EBIT) for Oboz is forecast, in line with the earn-out hurdle. The business contributed sales of NZ$49.1m, operating earnings of NZ$8.2m and a gross margin of 40% in FY18. Canaccord Genuity, not one of the eight stockbrokers monitored daily on the FNArena database, considers the performance in FY18 presents a tough hurdle for FY19 and suggests earnings growth will be in the low single digits. The broker downgrades to Hold from Buy and raises the target to $2.93 from $2.73. Credit Suisse continues to believe elements of the business model are risky and struggles to find sufficient upside to support a more positive view. To justify further financial upside the broker wants evidence of traction in wholesaling activities. The broker retains a Neutral rating with an NZ$3.25 target, believing the share price adequately reflects the current risk/reward proposition. There are two Buy ratings and two Hold on FNArena's database. The dividend yield on present FX values for FY19 and FY20 forecasts is 5.2% and 5.5% respectively. See also, Oboz Footwear Fits Kathmandu on March 21, 2018.